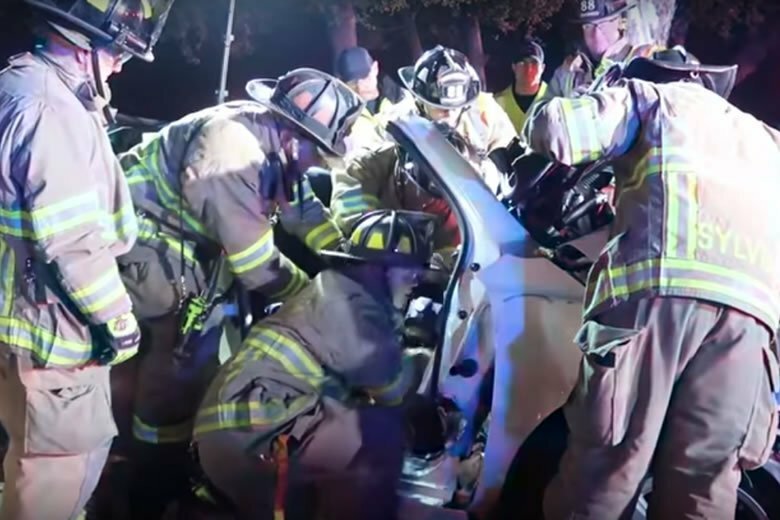 Vehicle Fire Extrication on March 22 at around 4:30 am after Contra Costa County firefighters responded to a report of a vehicle crash with rescue after a vehicle struck a tree on Hillcrest Ave in the City of Antioch. Firefighters worked to free a man for 45-minutes in a complex rescue after the male was awake and alert, but could not free his leg. Firefighters freed then man who was transported by AMR to a local hospital. Note – arrived on scene about 15-minutes into the extrication.